In 2000, Turkey's first private Specialist in Physical Therapy and Rehabilitation Medical Center is established by Dr. Turkan Tunerir which offers high quality health services to the people under brand of Fizyomer Physical Therapy and Rehabilitation Center for 15 years in Eskisehir. With experienced specialist physicians, physiotherapists, nurses and Fizyomer team we work to accomplish our mission to improve the life quality of our patients. In our new facility built upon our extensive 15 years of experience, covers 5000 m2 enclosed area that contains extensive physical therapy and rehabilitation rooms, therapy pool and modern medical units serves in Eskişehir as the Turkey's largest with the Fizyomer Terapia concept. In 1985, he graduated as a Doctor of Medicine and received the title of Physical Medicine and Rehabilitation Specialist from the Medical Faculty of Uludag, Anadolu University.Tunerir served as Doctor of Physical Therapy (DPT) In Eskişehir State Hospital for 12 years. In 2000, he founded the Private Fizyomer Physical Therapy and Rehabilitation Center which was the first in the country. Tunerir has participated in numerous domestic and foreign conferences and studies at the same institution for 15 years. With modern treatment practices at Fizyomer Specialist Centre, Tunerir has contributed to the health of the people. 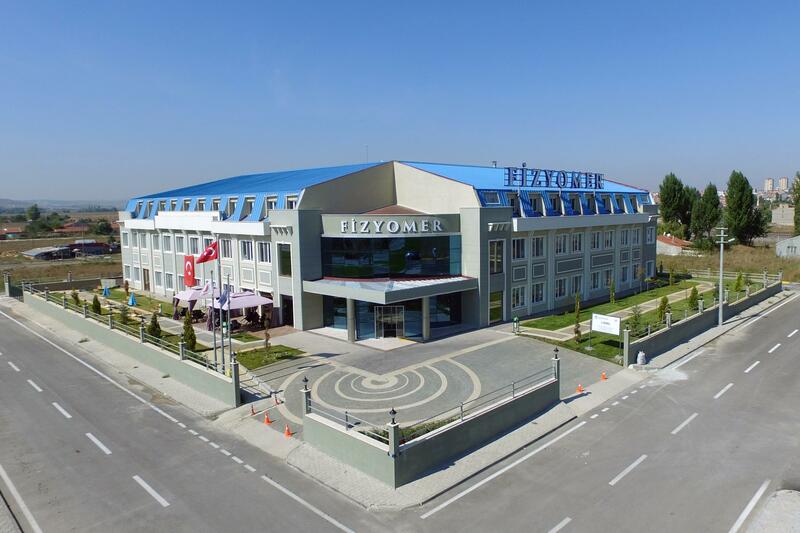 In 2015, under the brand of The Fizyomer Terapia, Tunerir has launched the the largest private physical therapy and rehabilitation center with 5000 m2 covered area in the Eskisehir, Turkey. Our mission is to improve the life quality for individuals in our society and to provide cost-effective, highest quality sustainable and preventive and healing rehabilitative practices for everyone. Fizyomer aims to ensure the highest patient satisfaction by the means of modern medicine practices and has become a preferred health care provider in the world with its modern equipment and professional team. Fizyomer makes quality policies based on high quality health care service and patient safety. With that aim Fizyomer progresses on TS EN ISO 9001 Quality Management System. Fizyomer has adopted principles of environmentally conscious act while providing quality health care in accordance with its the mission and vision. Waste resulting from the provision of health services is separated in line with the waste management plan and are disposed without harming the environment and strictly compiling with the rules of disposal of medical waste. Fizyomer separates household waste to be recycled and delivers it to the responsible organizations. Fizyomer acts accordingly with local and national laws and regulations relating to the environment and fulfills definitive requirements. Fizyomer has adopted the principle of providing patients and their families satisfaction and contribute to a society that constituted healthy and happy individuals by offering high quality health care services. Fizyomer aims at achieving and offering high quality standards in the health services. In framing these standards, Fizyomer promotes awareness of wellness, provides educational and academic structures for individuals and for the society.